Peter Hogarth is a corporate account executive with the HBS team in Europe. He oversees the day-to-day management of customer accounts in the UK, Ireland and the Netherlands. 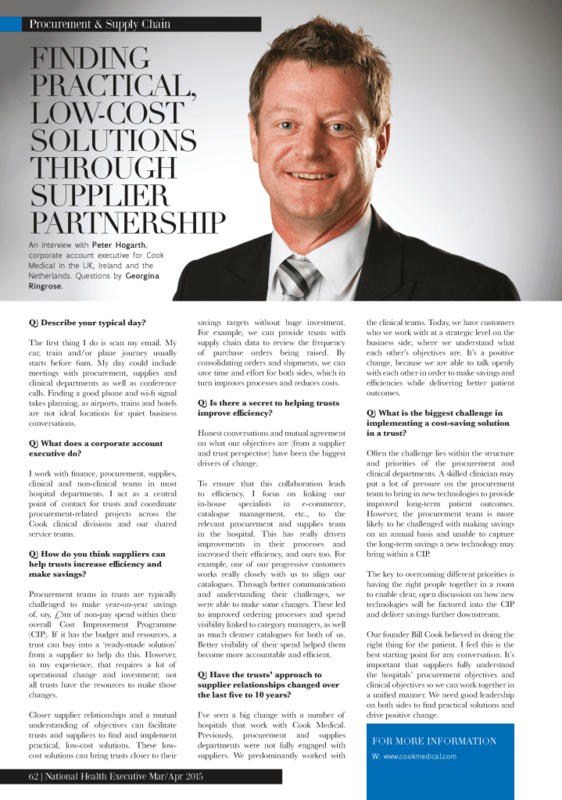 Peter sat down with National Health Executive magazine to give readers an insight into his role and share some tips on having productive supplier-procurement relationships.